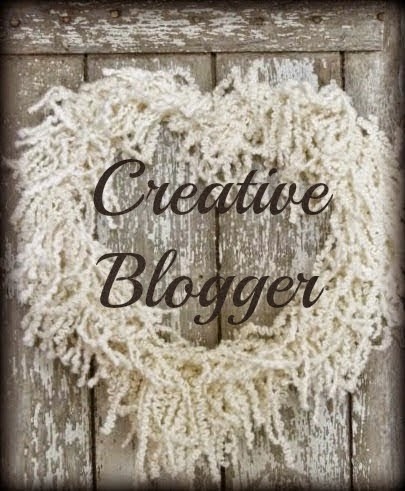 Welcome to the first SOTM blog hop of 2015! This month we are featuring This Moment, a LOVE-ly set of 12 heart themed stamps. If you've arrived here from JEAN'S BLOG, you're on the right track! 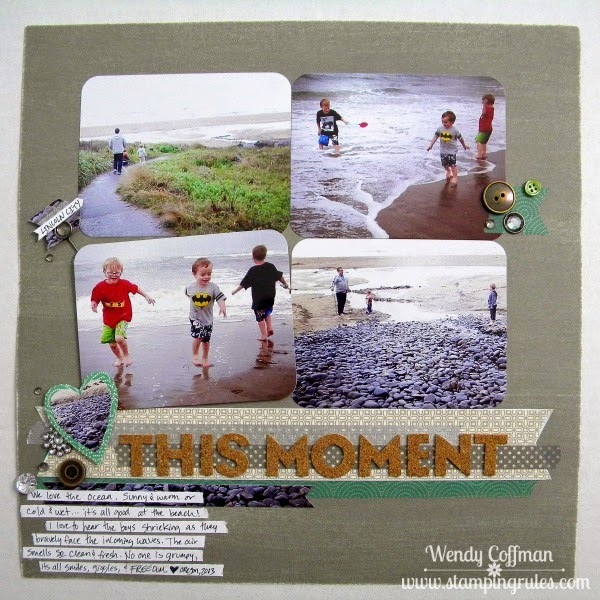 Today I'm sharing the front cover of this cute Hip Pics album all done up with the January SOTM. 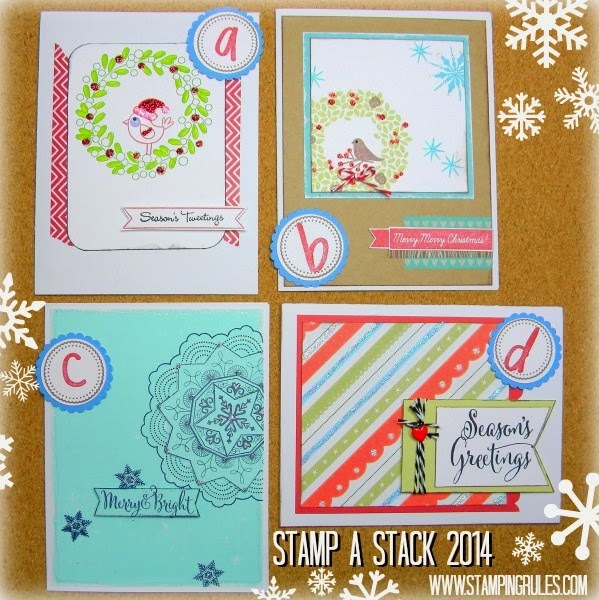 Throughout January I'll be sharing interior pages, all stamped with this adorable set. I really loved this week's RetroSketches sketch, so I used that cuteness for the basis of my album cover. I sketched out a square using red Shimmer Trim, then added a line of rhinestone mesh ribbon I got for a sewing project. I just trim off rows and bits of the ribbon as needed and it lines up beautifully. I adhere it with Liquid Glass, A bit of stardust gel pen outlines the main focal point and the album cover with just a hint of shimmer. I'll be sharing more pages throughout January, but that's all for today! 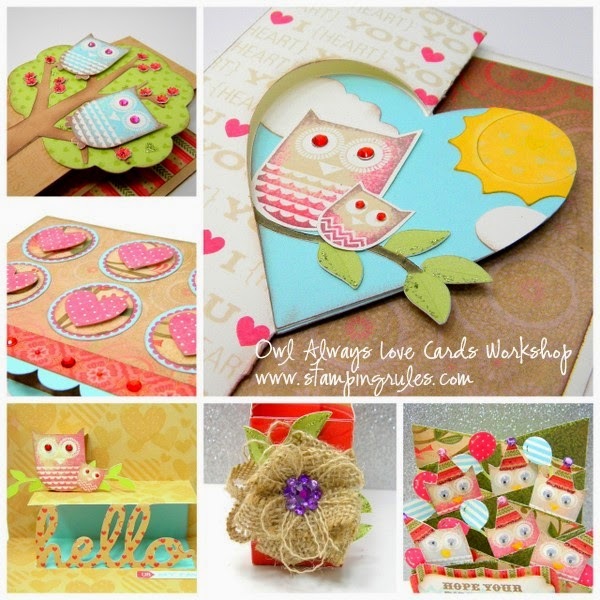 Now hop on over to see more January SOTM goodness on STEFANI'S BLOG! So my littlest dude is turning 5 this morning, and we had his party a bit early ('cause who's available to attend a New Year's Eve b-day party...for a 5 year old?). Nothing would do for the munchkin but a Man-Batman themed party. What? You've never heard of Man-Batman? Man-Batman is none other than Adam West, as in the original Batman movie, which is Max's favorite thing ever. More beloved than Ninja Turtles. Cooler than Chima Legos. Better than Wii games. When he watches the movie (for the eleventy billionth time), he has been known to announce, "That is a great movie!" at the end. It inspired his love of tuxedos (check out his hashtag #maxlovestuxedos on Instagram for a giggle), and unfortunately for poor ol' Adam West, he actually loves Burt Ward's Robin just a wee bit more than Batman... He calls them Man-Batman because they are not cartoons, dig? The thing is, no one really makes Man-Batman anything anymore, at least not for kids parties. Collectors items and such yes, but Party City does not have a selection of Man-Batman items. In fact, their entire Batman area in general was pretty sad. So I whipped up this quick little panel invite using a long retired superhero set and a photo of Adam and Burt doing their thing. Max could not have been more pleased, and I was happy to use up my stash of retired colors like Sunny Yellow. Win-Win! Here's the backside of the panel, with a little fussy cut bat signal (the lamplight leading up to the signal is colored with an alcohol marker), and a bit of identifying info so-very-neatly removed. 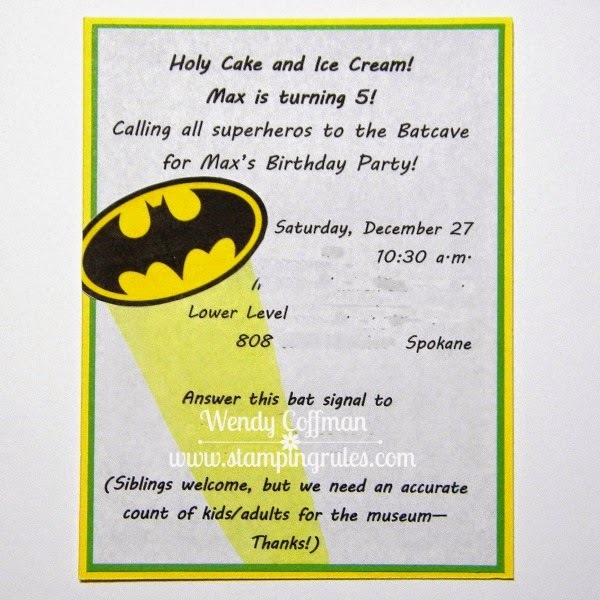 It was so fast and easy I still had time to make Man-Batman themed goodie bag toppers, cricut cut some cupcake wrappers, and whip out some Batman themed food labels. Max even insisted that we paint eyebrows and nose lines onto a bunch of plain blue fabric masks we found so everyone at the party could be Man-Batman, whether they knew who he was or not. 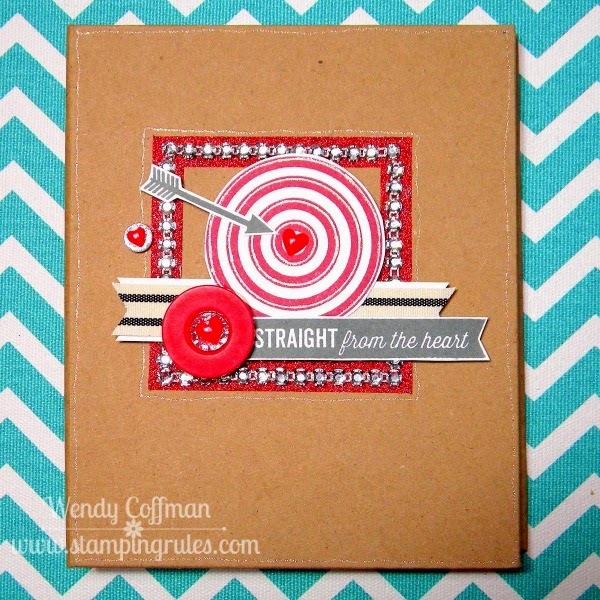 I'm linking this up to the Heart 2 Heart Challenges favorite holiday challenge. While I love all holidays, I really try to go all out to make the boys' birthdays special. They get to choose all the food and activities for their actual birthday day, the theme for their party, and even push all the elevator buttons on that special day. For our brood of boys, it's great to be king for at least one day a year! If you want to see more of the Man Bat-man themed party goodies, let me know in the comments below. They aren't super fancy with lots of glitter and roses...'cause, you know, he's five...but I think they turned out pretty cute, for party goods focused on a large man who only works in black or very, very dark gray and his holiday themed sidekick. 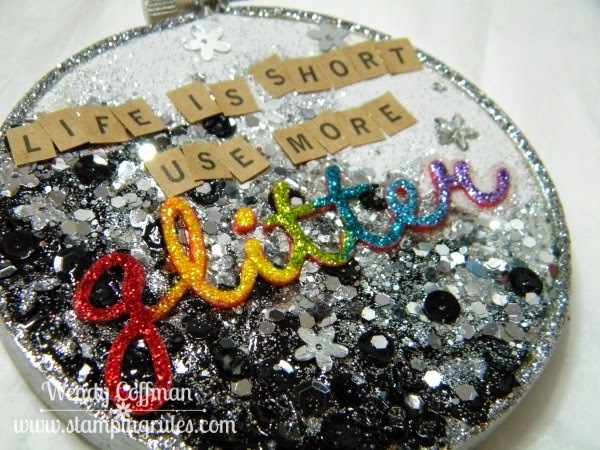 Later on New Year's Eve we'll be back to my regularly scheduled glitter and hearts! I'm back with a quick card for the Atlantic Hearts Sketch Challenge. I was inspired by the color combo over at Just Us Girls this week. I love grey and pink so much! The polka dots reminded me of the bulls-eye image in the upcoming January SOTM. 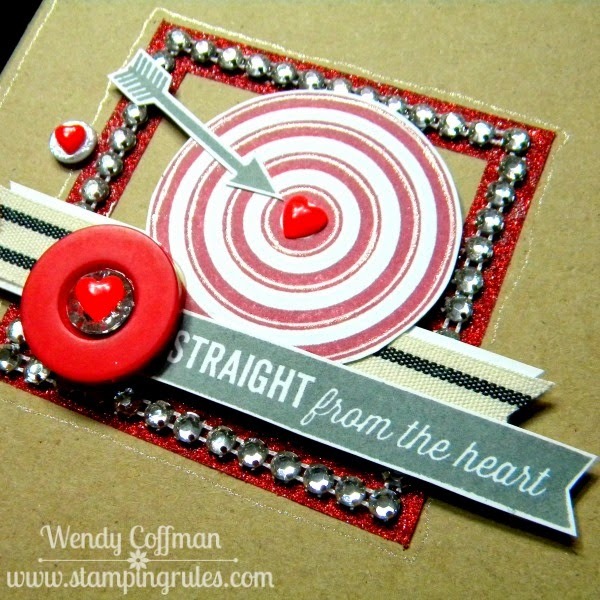 I was able to stamp my sweet little quick card because my super awesome friend Sheryl loaned me her SOTM after I realized I'd only thought I ordered it. I've got a super adorable mini album coming up with this set in a couple of days, all thanks to the kindness of Sheryl! 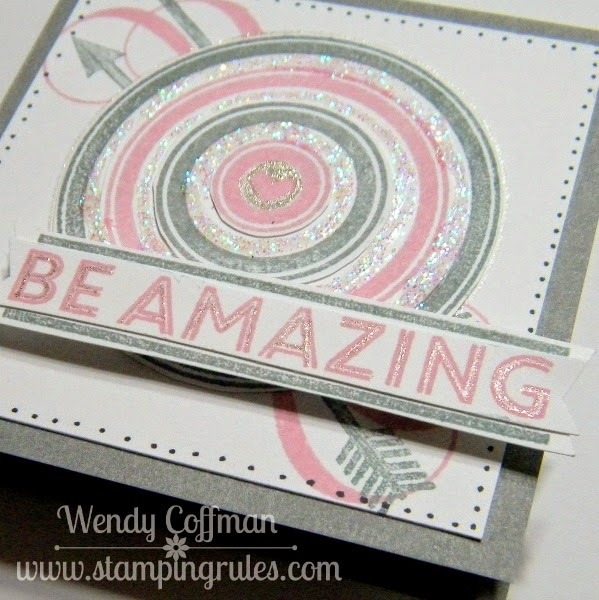 I stamped the bulls-eye multiple times in Grey and Pixie, piecing the image back together and adding glitter gel around each ring. 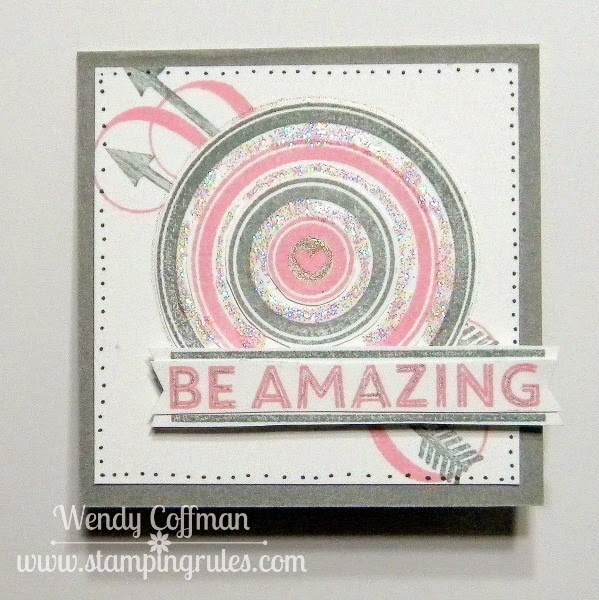 I stamped and pieced the sentiment image too, adding a touch of stardust gel pen inside the letters. It was fast and easy, but with lots of sparkle! 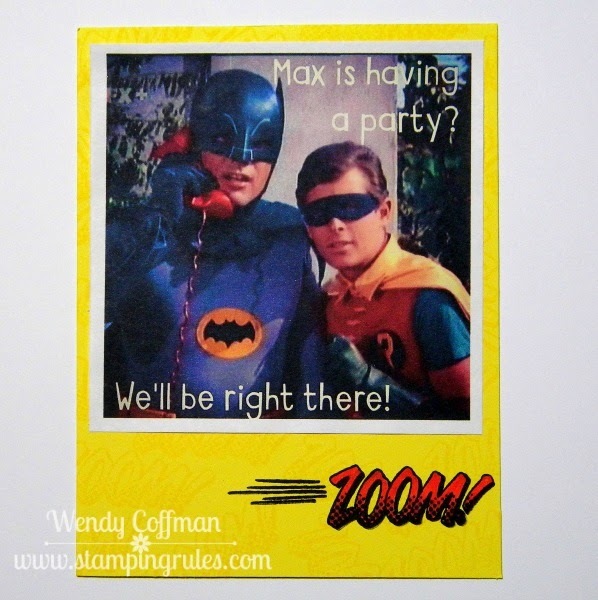 I'll be sharing all the Batman and Robin goodies I've been making for my little Max's birthday this weekend. In the meantime, I hope you'll hop over the Atlantic Hearts and have a go at this adorable sketch! I'm having a super busy December which is really keeping me out of the stamp room. Well, actually, not out of the tamp room, just not stamping. We've re-arranged over half the house to give our oldest his own room while retaining a guest room for our beloved visitors and a stamping space for me. Much moving and unpacking has been happening, plus all the cooking and daily mom stuff, a Joann's Open House, and of course lots of holiday hoopla for the boys, too, so not much time for blogging lately. I was so glad to see this week's super cute Atlantic Hearts Sketch. After busting out almost 100 Christmas cards in one weekend, I was ready to do something non-Holiday related. 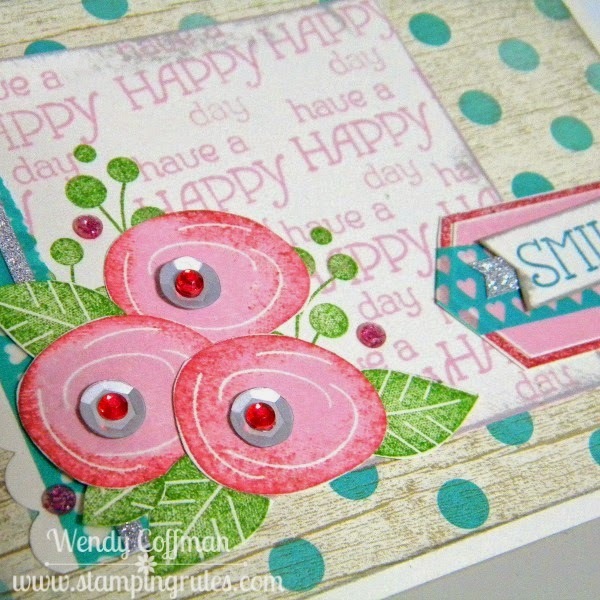 I saw the happy, bright color combo over at Color Throwdown and thought it would make a beautiful birthday card. I used Lagoon, Topiary, Cranberry, and Pixie. 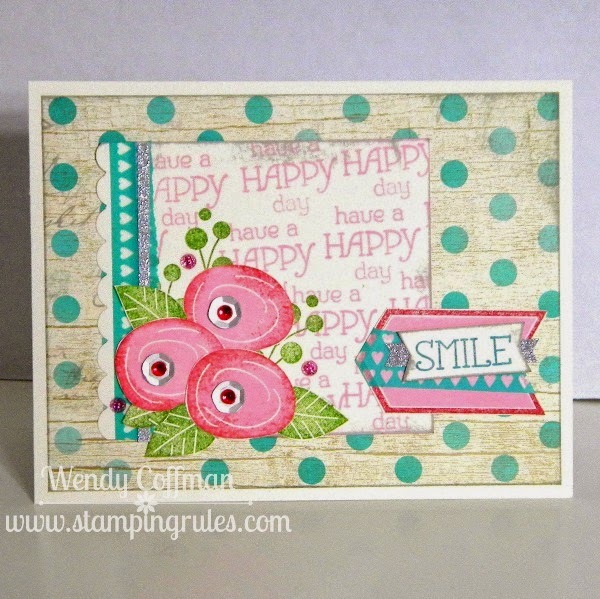 I grabbed some Seaside dotted paper and my Have a Happy Day stamp set. I cut out the simple rose shapes and topped them with silver sequins and clear sparkles colored Red with an alcohol marker. It was fun to get my fingers inky again for a moment before I need to get back to more unpacking and rearranging. I'm linking up to the Seize The Birthday Anything Goes Challenge. I am so addicted to the CTMH Cricut cartridges. They are the first thing I reach for when I cut, so much so that the rest of my cartridges are pretty much dusty and unused (except for Mickey and Friends ). But that's Mickey. And I believe that CTMH just makes the best cartridges! 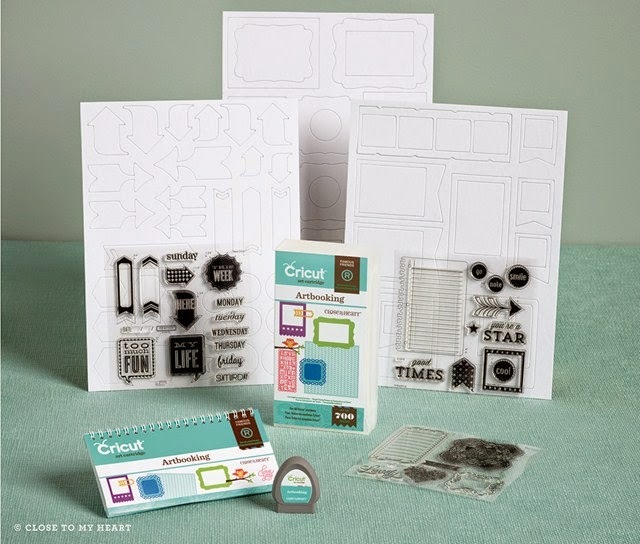 20% off any and all CTMH Cricut Collections! CTMH has never done this before! Let me tell you why I love our cartridges more than the average Cricut cartridge. 1. Each cartridge has 700 images. That's like getting multiple cartridges all in one. They fill every key and every feature key with cricut goodness. The average cartridge has anywhere from 50-70 images I've read. Even at full price they are an amazing cricut value! 2. They come with 3 coordinating stamp sets. Look at the cuteness of that font and the comprehensivness of that sentiment set that comes with the newest cartridge, Artfully Sent. It's like never-need-another-card-sentiment set again goodness. Not that THAT will stop me from buying another stamp set. But I won't need one. You know. 3. 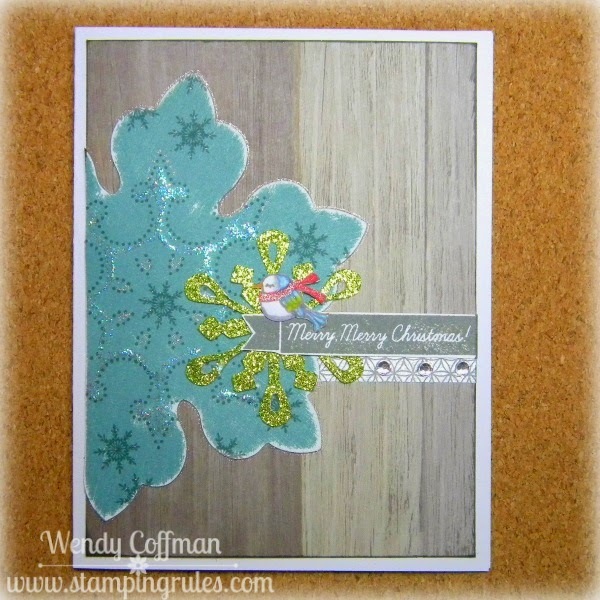 They are bundled with coordinating cardstock or chipboard images to use with the cartridge and stamps. Since the stamps are clear, it's easy peasey to line up the images and go to town! 4. With as many images as the cartridges hold, the stamps and papers are seriously like free bonuses. You're already getting triple or more images than you would if you bought a normal cartridge, but here's some bonus goodies worth another gob of $$ to make the deal even sweeter. This is one reason why I heart you, CTMH! 5. The images on these cartridges are unique and interesting. it's not 200 new images and 500 repeats. Because there's so much good stuff they include an images guide and often an assembly guide. 'Cause otherwise how you gonna glue that baby bootie together? 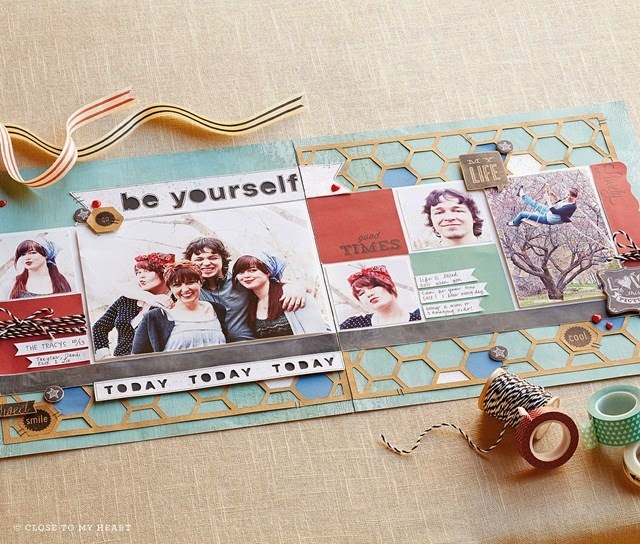 Art Philosophy is my go to for scrapbooking and card making shapes. Like I seriously need it to function when designing now. And for the 3-D flowers. I HEART 3-D flowers. Artiste is amazing for gift bags, 3-D items, cards, and generally cool craftiness that is way easier to make than it looks. And even more 3-D flowers! Artbooking makes my scrapper's heart swoon with amazingly intricate overlays and details for pages and mini books. And the newest cartridge is called Artfully Sent. It's got a bazillion super cool fun cards that you can just choose, cut, glue, and go! Ok, enough gushing - if you've been on the fence, today is your day, sista! 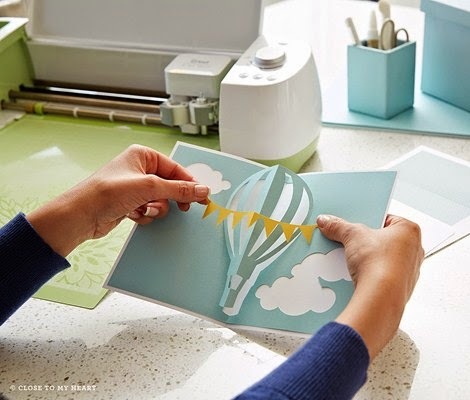 20% off any and all CTMH Cricut Collections. MONDAY only.